Calling all kids! Are your parents or grandparents bored over winter break and driving you crazy because they just don't know what to do? Bring them over to the Roselle Public Library! We have lots to do here! Come and play a board game. We've got some great classics like Monopoly, Sorry, Candy Land and Hi Ho Cherry-O. Or how about putting a puzzle together? You can find a nice quiet corner where you can read them a book or magazine and then check out a few to read for bedtime stories (they never want to go to bed on time). There is a vast array of music CD's to select from along with tons of DVDs to check out for your viewing pleasure when you go home. Do they like to build? 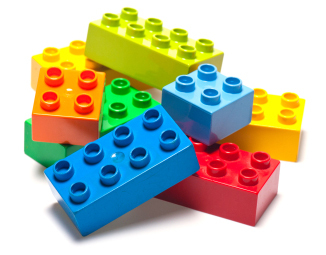 On Monday, December 28th from 12-2 PM, they can build Lego designs to their hearts' content. You may have to help them though, because parents and grandparents are not always as creative as you are. The best part, the creation will be displayed on the Youth Services floor as a "mini-museum" for the next few weeks. That should get mom, dad, grandma or grandpa excited! Maybe too, they'd like to take a field trip out to LegoLand in Schaumburg. The library offers discount coupons to the place through Museum Pass Adventures. All you have to do is stop by the YS desk and we can help you out. 1:30-3 PM. What's GGG, you ask? It's the short way we say Grandparents' Got Game around here (we love alliteration!). Bring your grandparent to the library and show them how to have some fun because as well all know, kids are experts on fun! There are snacks to munch on, games to play and a fun craft to make together. It will keep them busy for a few hours and you won't have to come up with something at home to stop your grandparents from complaining there is nothing to do. So just remember when you hear your p's or g's say, "I'm bored! There's nothing to do!" take them over to the Roselle Public Library. There is tons to do here!